This section of iPupster gives you all the help and advise you need on your pup’s health and grooming care because as pet owners we know only too well that health is wealth! 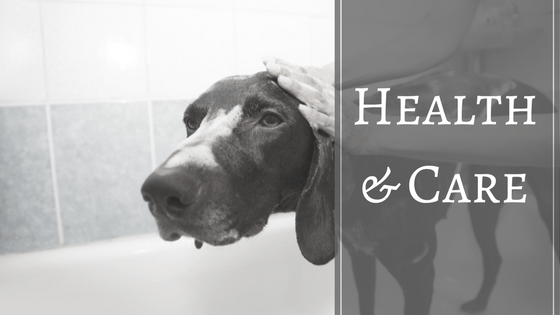 As owners we want to minimize vet visits and frequent check-ups, so this section provides actionable advice on everything from dog grooming to flea prevention and common health issues. These days, with the higher quality of veterinary care and nutrition available, our pets are living longer which is great. However, the down-side of this is that they are at a higher risk of developing age-related conditions such as arthritis, kidney disease and canine Alzheimer's. In the following articles we take a look at many of the common canine diseases and conditions. We discuss the possible causes of these, how you can spot them and what you can do yourself at home to help your dog if affected. We discuss the core and the non-core vaccinations designed to prevent and protect your dog against an array of illnesses. When should you get your puppy vaccinated? Are vaccines healthy and essential? What about an older dog, can they still get vaccinated? A Pet Parent's Guide to Dog Vaccinations: What They Need, When and Why? When we realize our beloved pet is pregnant we are over the moon with joy and eagerly away the arrival of our new puppies. But during a dog's pregnancy there are also huge responsibilities from ensuring adequate nutrition for the nursing dog and knowing what to expect at every stage of their pregnancy. The following articles explain what to expect during the various stages of their pregnancy, nutrition and dietary requirements. Be sure to protect your dog from common diseases and parasites. Keep their annual vaccinations current and always treat them for fleas, ticks, heart-worms and worms. When you prevent treatable health issues, you prevent unnecessary health problems which also prevents costly medical treatments. It doesn't matter what type of worms or parasite your dog may be suffering from, the important fact is that using preventative treatments is by far the better choice for both you and your precious pup health wise and happiness wise. By not utilizing a preventative program, you are taking a chance on your precious pups' health and even their life. The following article discusses how to recognize parasites and treatments to eradicate this problem and our top recommendations and the reasons behind it. Grooming isn’t just about your dog getting a good ole brushing, it’s about paying attention to each part of their body: teeth, tail, eyes, ears and feet. Through grooming as owners we also have the opportunity to give our pet an overall quick check up. It is often through this process that we are able to pinpoint and identify our pet’s aches and pains, parasites and general health issues that may arise. It’s also a great bonding experience that only strengthens the more frequent we do it. These articles look at how exercising your dog can help improve your dog's overall health. We also review the top rated fitness equipment and the things you need to watch out for when buying these. Dog Probiotic Supplements - So how to Probiotics help your dog? Nose Surgery on a French Bulldog…Is it Worth It? Dog health and care articles that are pertinent to your pet's health. Pet Sleeping Guide: How Much Sleep Do Dogs REALLY Need? This instructional video provides a good and helpful introduction to checking the heath of your dog. It's a great video on spotting potential problems, so if you're a first time dog owner this beginner's video is an absolute must. It's 7 minutes long but there is some valuable information packed into those few short minutes.